Well, if you thought the beautiful city was for destination weddings only, then you are in for a pleasant surprise! The gorgeous city also offers many places for lehenga shopping for the would-be brides. So if you are in the city, you must check out Jaipuri lehenga at these top shops for bridal shopping in Jaipur. 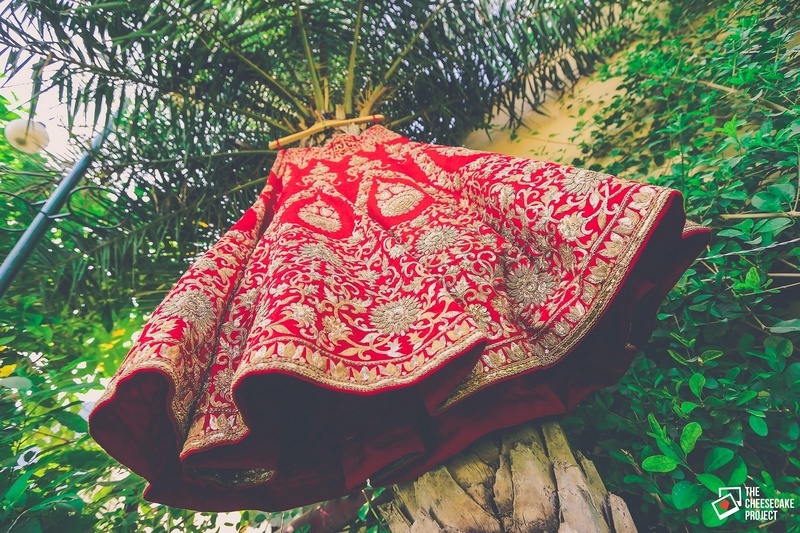 Visually stunning colours and intricate work make these Jaipuri wedding lehengas stand apart from the others. While there are many shopping centres in Jaipur, we bring to you only the very best where you will be spoilt for choice. From pre-wedding ceremonies to weddings – you will find something for every occasion here! Much like their art and rich heritage, the bridal lehenga in Jaipur too lean towards rich colours and embroidery, making them a visual treat for the big day! Read on to know more! With a vast range of designer lehengas to its credit, Ranas in Jaipur is one of the leading places for bridal shopping in Jaipur. Luxurious fabrics, patterns and motifs make these bridal lehengas truly unique and worthy of the D-day! With increasing demand, they introduced party wear lehengas and other types of the traditional bridal attire, making it a one-stop shop for your wedding shopping needs! If hand embroidery in opulent colours and luxurious fabrics is your style, Zari will have something for you! With an aim to capture the vibrant culture and regal legacy of the city, Zari is one of the best places in Jaipur for lehenga and bridal shopping. Gota patti, handwork zardosi, zari work, sequins, elegant drapes and many other exquisite styles are their speciality and are sure to impress you! The best of traditional and contemporary design blend beautifully in the designs of Vasani bridal store. Artisinal prints, exotic motifs, rich colors and dreamy fabrics define their bridal lehengas, making them a much sought after place for bridal shopping in Jaipur. Those intricate detailing, mirror work, tassles, they just look lovely on any woman. But wedding is something veryy verry special and I am sure you would want only the best for your dream day. Go ahead and pick your style! With a wide assortment of lehengas, salwars and sarees, Vandana Creations has something for everyone. You can choose from their gorgeous designer wear and make your bridal day attire one-of-a-kind. Available in rich colours with gorgeous embroidery work, these bridal lehengas are perfect for the big fat Indian wedding! Established in 1954, Pratap Son’s have been one of the pioneers in the industry. Three generations of the family have dedicatedly worked on this exquisite art to make sure that every bride dressed in their bridal lehenga looks nothing less than a diva! With their gorgeous designs and intricate work, you are sure to find something that will suit your taste and occasion. Whether you want a lehenga or a lehenga saree, Nidhi Tholia will have something for you that you can rock on the wedding day. Futuristic designs are blended into traditional forms seamlessly, making each creation as unique as you! With their wedding lehengas, you can never go wrong!